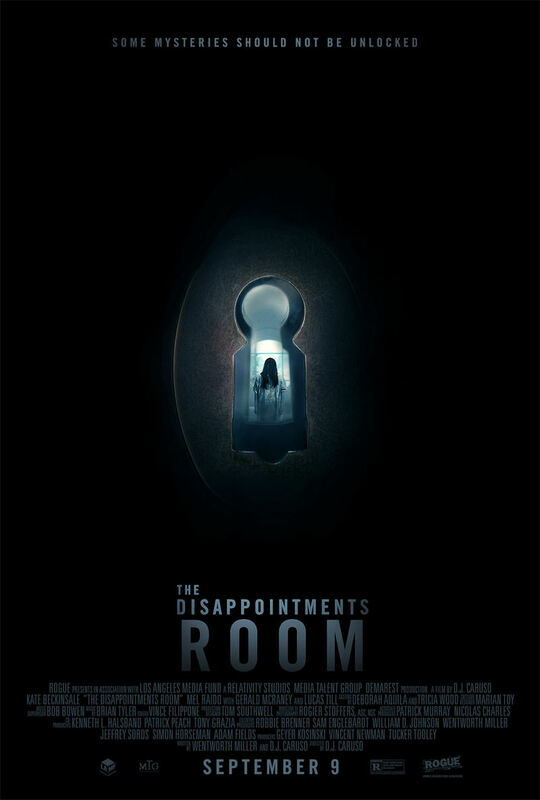 The Disappointments Room DVD release date was set for December 20, 2016 and available on Digital HD from Amazon Video and iTunes on December 13, 2016. An architect, Dana, and her family move into an old country manor-style house in an Eastern town along the coast. Curious about an attic window that only appears on the outside of the building and not on the blueprints, Dana soon learns that the house has a hidden room known historically as a "disappointments" room. In the past, a family that had a child who was disappointing because of a behavioral issue or physical deformity would lock the child out of sight in this type of room. Dana's investigation of the room soon uncovers a horrifying secret that threatens everything.